The folks at Nautilus have put created an eye-catching game of Animal, Vegetable or Mineral? from photographs captured at the microscopic level. For the photo above, the choices are Vegetable: Leaf Stem, Mineral: Coal fly ash or Animal: Cross section of hair. Can you guess which it is? 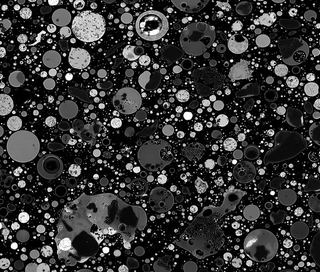 The photo above is a cross section of fly ash particles captured at 750x magnification. Believe it or not, I found this photo to be one of the easier ones on the quiz. Go play all 19 rounds over at Nautilus.